Space and time variables are inherent in any perception of a wave defined as periodical motion. That is to say that a reoccurring planar event can not be perceived in a spatially defined area of less than 2D ... and a reoccurring volumetric event can not be perceived in a spatially defined volume of less than 3D. A "point" element in geometry has a definite location but no size, shape, or extension. That is to say a "point" like particle has no 2D or 3D spatial definition... and therefor no space/time events are supported within a "point" like particle. By "wave character" does one mean re-distribution of E can be verified within a "point" like particle?... or that a "point" like particle can be repositioned in the field by E distribution in a "wave" like E event?? To differentiate photon particles from mass particles... implys that either they have differentiable physical properties... which requires the entities to have spatial variables... or that energy... independent of the "point" like entities... acts upon the two types of particles differently. To fit two types of particles in a "point" like particle geometry model... we have devised two types of energy... i.e. we measure the E of mass-less "point" like particles in terms of Planck's constant and wavelength... and we measure the E of "point" like particles with mass in terms of E=mc^2. OK... but how does either of the two types of energy... independent of the "point" like particles... know which particle it is supposed to act upon? That is to say that even if we assume two types of energy... differentiation between any two "point" like particles can only be made on the basis of field locality variables. Therefor... a particle cannot be a "point"... i.e. it must be spatially defined as a 2D plane or a 3D volume. Any additional dimensionality would be extraneous to the model. If defined as a 2D plane... only 2D events and 2D physical entities are supported... i.e. a 2D particle can not rotate out of plane. If defined as a 3D volume... 3D events and 3D physical entities are supported... just like in the real world... and at quantum scale... 3D choreography transport of QE within the particle... and between the particles... is supported. Therefor... a particle is a volume... or... an E event... within a volumetric field quantization... that we perceive as a particle. But what spatial definition can be given to a particle... or event... which we can only perceive as E variations? At first glance the possibilities would seem infinite... but we have some clues. Although probably not intentional on Einstein's part... his insistence that the spatial unit of field quantization would be unified... i.e. a "Unified Field" is a field in which quantization of the field is supported by one volume geometry... gives impetus to "background" path dictate theories... which will inevitably invalidate the Werner Heisenberg uncertainty principle. The recent article verifying an Expanding Universe brings to mind de Broglie and David Bohm's "Pilot Wave" theories... and if one ignores the illusions created by the mathematically imprecise NASA visualization used to illustrate the context of the article... an expanding "background" of path dictates from a single E source... equal in all directions... suggest the unified unit of volume must support quantization of a spherical singularity... i.e. the Causality Singularity. A requirement for a single volume unit that quantizes a sphere... which expands equally in all directions... as shells of unit volume radii... drastically reduces the possible options for a valid quantization volume unit ... all of which... in 20 years of analysis... I reduced to the UQS quadhedron. UQS is an acronym for Unified Quantization of a Sphere... i.e. a spherical singularity. If one assumes a minimum/indivisible Quantum of Energy (QE)... requires a minimum/indivisible spatial definition... that is referred to as the Quantum of Information (QI)... and that a QI requires a spatial definition of at least 2D... the volume unit geometry for the field "background" path dictates can be constructed from the QI defined plane areas. That is to say that a minimum quantitative unit of energy... has an indivisible 2D spatial definition QE... that is at time = t... locatable in the field... at a unique QI address... and that the volume units of the field lattice... are configurable in terms of energy... i.e. they can support 3D energy events. Indivisible means NO fractional unit... i.e. Causality Singularity (CS) scale units of space, time, and energy. That is to say that one can... within the basic precepts of logic... define something in terms of itself... i.e. as a "unity" entity. Is a photon a UQS quadhedron? Estimates of the size of a photon tend to be based on plane geometry... i.e. 2D concepts rather than volumetric measurement. That is to say that measurements made by dividing the E of a given wavelength... that in a specified time falls on a pinhead... by the area of a pinhead... and then dividing by the speed of light... assumes the speed of light is constant and that the E of the photon is a 2D plane... which is not the same as an actual 3D measurement of a spatial volume unit. UQs supports the concept of a limiting constant speed as a measurement of the cyclic duration of pulsed events... i.e. events/pulse... it does not support a limiting d/t concept of speed. To say that QE=QI... is to say that the minimum/indivisible 2D area required to contain the minimum/indivisible unit of energy equal to one QE... is equal to the 2D area of one QI address... i.e. they have the same 3 UQS coordinate specification... and in a stable state each unique address can contain only E = 1QE. E as a measurement in QE units... is the total number of QE that accumulate in a BU... or the number of QE that participate in a node or gate event... i.e. it is quantitative rather than spatial. 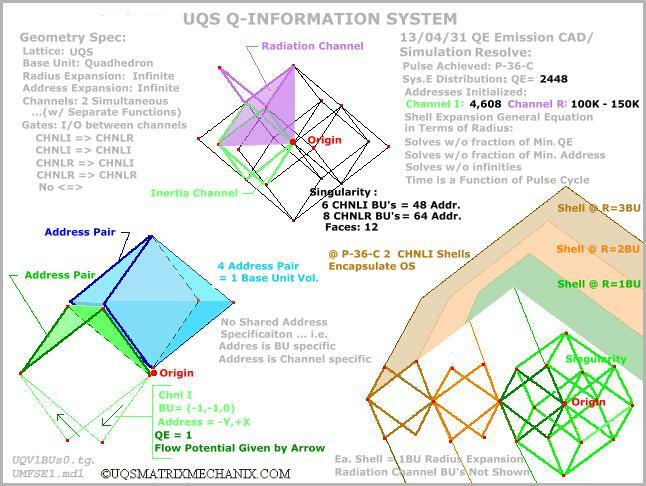 In 2013 I resolved a QE emission model at QE=QI resolution... based on the UQS matrix... in which differentiation of Radiation event base units (RADBU)... and Inertia event base units (ICBU)... is inherent in the field geometry... i.e. as two embedded perpendicular channels that distribute QE by their unique emission AI. 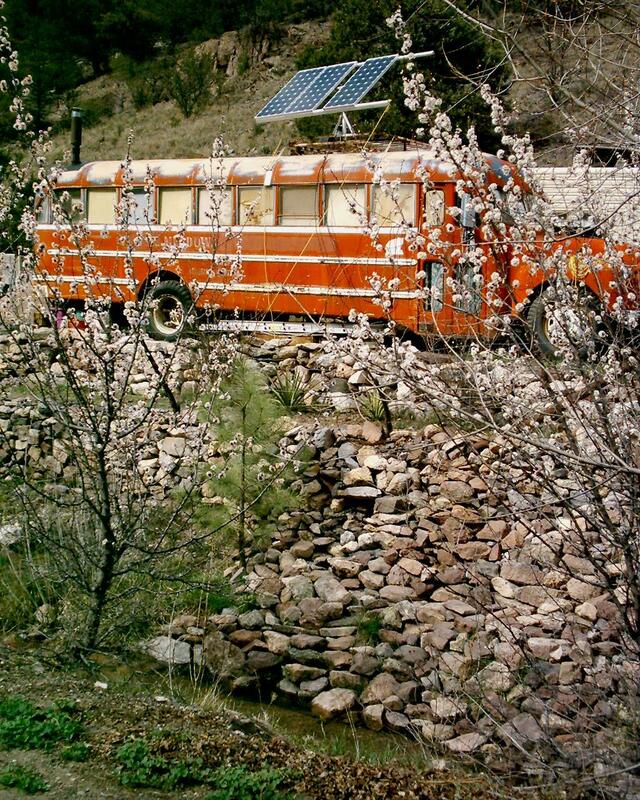 Two channels... differentiated by the UQS lattice at CS... resolves the necessity for two types of energy. In that the E of a photon is observed to vary in an unlimited manner with respect to wave length... invalidates UQS emission AI... i.e. unlimited accumulation of quantitative E in a single BU... without AI for distribution... would eliminate any means of Causality Singularity (CS) expansion... and we would not be here. Although... in a single pulsed event... the UQS emission model AI does permit RADBU to accumulate unlimited quantitative E in a single RADBU... if E > 1 QE per QI address (8 QE per RADBU)... the RADBU is unstable and on the next clock pulse the instability must be resolved... i.e. no continuous stream of RADBU with greater than 8 QE is supported. Therefor.... either the photon is a composite of UQS RADBU events... or the method of calculating photon particle E in terms of distance over time is in error. That is to say that the spatial concept of a a "point" like particle... whose E is measured in terms of wave length and Plank's constant... is not consistent with the concept of QE=QI. Obviously there will be discrepancies between the Standard model and the UQS model... based on the fact that at the Causality Singularity there is only one force... the Causality Singularity Force (CSF)... which is measured in terms of QE units. The CSF differentiates space as minimum address area units...i.e. QI... that in stable state contain one unit of the CSF... i.e. QE... and expansion of space over time in terms of CS clock units (CST)... requires 1 QE to fill 1 QI in stable state. Mach's principle states that an object possesses mass only by virtue of the presence of all other masses in the Universe. UQS expands Mach's principle to the degree that all observed phenomena require an interaction between either two or more ICBU... one or more ICBU and one or more RADBU... or... two or more RADBU... i.e. what we observe as particles are events occurring as a consequence of the current Universal field configuration of QE. Does UQS incorporate Einstein's Relativity Theories? Einstein was impressed by Mach's principle... and attempted to incorporate it in his General Relativity Theory ... but Einstein died pondering "What is the mathematical character of the Universe?" ... i.e. he did not resolve a valid Unified Field geometry... but he believed there was one. Mathematical theory... at least in principle... is derived from a geometry model. To replace Einstein's rubber sheet (2D plane) geometry model... with a 3D spherical lattice which expands from a single CSF source... equally in all directions... as shells of unified unit volume radii... is a major deviation from the Relativity geometry model. However... by defining energy spatially as QE... one eliminates Relativity's dependency on an independent force E acting on a photon "point" like particle ... and if one utilizes the appropriate interactions of the two unique channel QE distribution functions of the UQS emission SIM... it can be shown that UQS supports the bending of light as predicted by Einstein's Relativity Theory... i.e. the verified predictions of Relativity can be incorporated in UQS... if not the theory. That is to say that a RADBU QE event is acted upon by it's ICBU environment. The most significant advantage of a valid volumetric quantization of field path dictates is that only energy is in motion ... i.e. what we observe as particles is the choreography of QE events... as dictated by existing configuration of the QE=QI field. That is to say... the QE events move not the QI "background"... i.e. 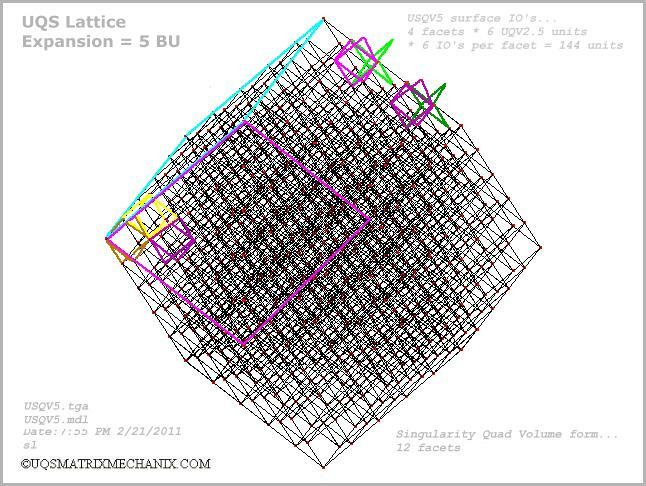 the unified field CAD geometry is the spacial "tapestry" of Mach's principle... and inertia event SIMs within that "tapestry" must verify that gravity = inertia is inherent in the "weave" of the geometry. The 3 frame sequence... of the pulse 4 UQS emission SIM event... between the Inertia Channel and the Radiation Channel... are illustrated here to demonstrate the QE choreography of the event. The above illustrated sequence also demonstrates the technique of CAD/SIM resolve... i.e. the event differentials are extracted from the graphic solution as digital code rather than as calculus equations. Given the dual concepts of infinite expansion... and exponentially increasing event sequences... equations become extremely tedious and require an interpreter application... of questionable validity... to process on a "quantum logic" computer... for output to the CAD/SIM system. Not only does a QE=QI event resolution model resolve differentiation of mass-less and mass entities without necessity for two types of E... it also suggest that if at the Causality Singularity we construct a valid quantization model ... and we utilize the AI derived from valid emission solutions... we can expand the emission model as a digital CAD/SIM... to resolve the Hydrogen neutron choreography... which is essential to development of the long promised Start Trek Replicator. Although the UQS emission model has only been expanded to pulse 36... Ref: A More Precise Spherical Universe Expansion Illustration ... and does not yet verify some of the assumptions I have made below in my current analysis of the Big 5 Wave-Particle Duality Enigma... addressing the constraints of observational data at this point... will assist in limiting the possible solutions to the emission expansion. For those of you reading this that have access to a laser lab environment... data from the following experiment would assist greatly in narrowing the possible emission expansion solutions. In the Photon Residual Pressure Experiment #1... a Very Long Vacuum Tube (VLVT) is placed in a black box. Two photoelectric detectors are placed in line with the incident "unity" laser. The distance between the laser and Detector 1... and the distance between Detector 1 and Detector 2 is variable to allow a series of test. If on beam detection by Detector 1... Detector 1 falls away and switches the laser off... does Detector 2 record the laser pulse hitting Detector 2... i.e. does the beam continue to Detector 2 after the laser pulse is off?... at what range of distance d2 is the effect recorded?? Note: a longer vacuum tube allows the two plates to be separated by increasingly greater distance. Does the wavelength of the incident beam effect the outcome? I realize that there may be timing constraints on photoelectric/laser switching technology... that may not allow this experiment to be conducted within relevant time durations. I also realize that the experiment may already have been preformed... the data already exist.... and I am just not aware of where it has been archived. Please advise. The following visualization illustrates the use of a QE=QI resolution 45 degree filter in the classic polarization setup. Note that the results of the system are the same as those observed at Photon E scales. That is to say the QE reduction of the vertical filter is 50%... the QE reduction of the horizontal filter is 50% ... and if no 45 deg. filter... no QE would pass through the system. If we assume mass can be comprised of either Inertia Channel BU's or an entanglement of Inertia Channel and Radiation Channel BU's... then at QE=QI scale... we can imagine a hypothetical configuration of mass... which would act as a beam splitter for a 2 RADBU incident beam. For historical (1807) reasons we will call this hypothetical Q-crystal... Malus-Q-Ice. Although I have worked out the theory for the entire series... I wear all hats on the UQS project... and the necessity for detailed illustrations is time consuming. Obviously I need a funded physics/math/computer-science graduate student with CAD, digital code, and presentations skills... looking for a thesis project... but at 64 years old... doesn't every theoretician? Upon completion of the presentation illustrations... I will post the following addendum to the series at the UQS Web Home... so check back for updates.